This is the total number of profanity incidents in this 411 page book. The beginning of the sweeping Aubrey-Maturin series. "The best sea story I have ever read. 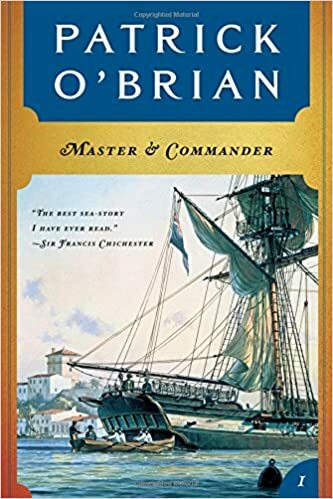 "―Sir Francis Chichester This, the first in the splendid series of Jack Aubrey novels, establishes the friendship between Captain Aubrey, R.N., and Stephen Maturin, ship's surgeon and intelligence agent, against a thrilling backdrop of the Napoleonic wars. Details of a life aboard a man-of-war in Nelson's navy are faultlessly rendered: the conversational idiom of the officers in the ward room and the men on the lower deck, the food, the floggings, the mysteries of the wind and the rigging, and the roar of broadsides as the great ships close in battle.